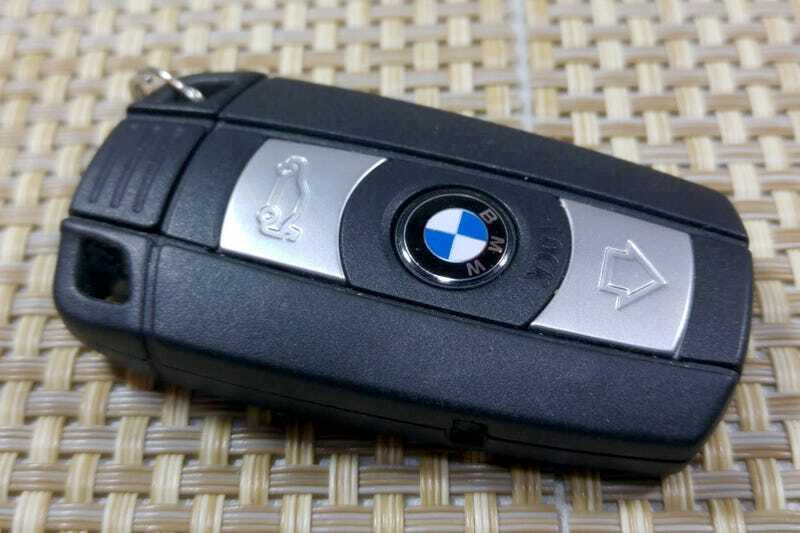 BMW key fob crisis averted! I’m heading from Madison down to the Chicago suburbs today to trade my 135is in on a CPO G37xS. I was looking for the second key to the BMW this morning and couldn’t find it anywhere! This was not good! We have a little extra key spot in our filling cabinet where normally I keep the extra key. It wasn’t there. I looked everywhere, and couldn’t find it. I was getting rather anxious and it was stressing out my gf. But! I had a wild thought! I stored the car this past winter at my mother-in law’s house, and had stashed the extra key there, on a shelf in her study behind a golf trophy. When I picked up the car last month, I confirmed that the key was behind the golf trophy. But then I put it back behind the trophy. WHAT IF I FORGOT TO ACTUALLY TAKE THE SECOND KEY HOME WITH ME? I called my mother-in-law, she checked, and she has the key. I called the Infiniti dealer, and since going to pick up the key on my way to them would be a good hour and a half detour for me, they’re fine with having the key mailed to them.